Residential Elevators provides the highest level of service when you are looking for home elevators in Jacksonville, FL.  Whether you are looking for a new home elevator installation, an upgrade or elevator service, Residential Elevators of Jacksonville has you covered. Residential Elevators can help you add a home elevator to your dream home, increasing the value of your Jacksonville property. We have been servicing the Jacksonville area as a family owned company since 1996, bringing the best elevator talent and craftsman to the business. From our Manufacturers Reps, Customer Service Reps, Plant Managers, Installation Techs and our Service Techs, Residential Elevators hires the top talent in the industry. We pride ourselves on providing you with the best experience from start to finish when it comes to Jacksonville home elevators. With Residential Elevators, you are able to customize just about any aspect of your in-home elevator. Our Manufacturer Reps will work with you to design the elevator of your dreams. You have the ability to not only select from multiple cab series, but also individual elements such as wood species, ceilings, handrails, fixtures, and gates. Our home elevators are durable and beautiful, able to be expertly crafted to match the interior of your home. A new in-home elevator can benefit your home and your lifestyle in many ways. One of the best parts about installing a new home elevator is the level of luxury that it will bring to your home. We pride ourselves on our design, craftsmanship, and installation services. With Residential Elevators, you can count on quality from start to finish. Residential Elevators also offers a number of home elevator maintenance plans for our customers in Jacksonville. We recommend yearly maintenance but have multiple different plans available to cater to each of our customers. At Residential Elevators, safety is a top priority. All of our elevators are installed by top of the line elevator technicians using the latest in technology and equipment. Our elevators are protected by our whole-system safety circuit. This prevents the elevator from being used if any of the safety features are not working properly. In the event of a power-loss, our backup battery system will help your elevator get safely to the next level. On top of our elevator safety features, Residential Elevators provides additional safety and accessibility to homeowners. Without the need for stairs, elderly and handicapped folks can avoid the risk of injury when traversing to higher floors in the house. Our home elevators can be designed for wheelchair accessibility for additional handicapped access. Whether you are looking to add a home elevator to your Jacksonville home for accessibility reasons or you would like to add that extra touch of luxury to your dream home, Residential Elevators is the company for you. We bring premium service to all of our customers, regardless of project size. To schedule service or a consultation for your new Jacksonville home elevator, contact us here or give us a call at (800) 832-2004.